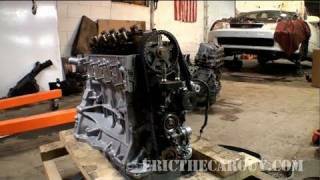 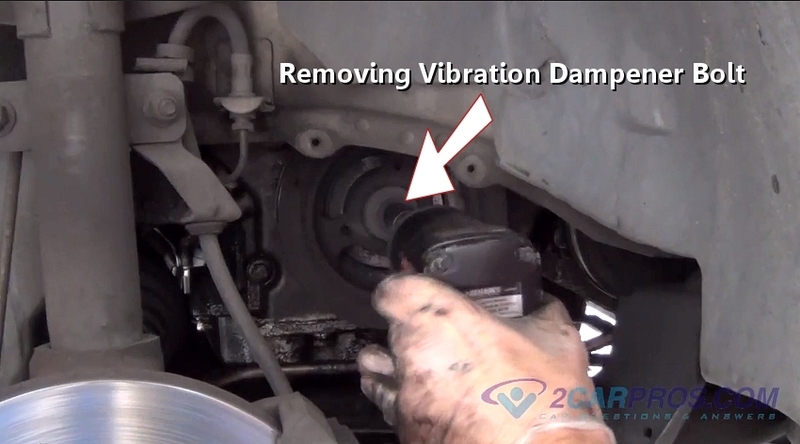 Easy step by step guide on how to remove an automotive engine harmonic balancer, though application may vary, the procedure follows the same process, this information pertains to most vehicles. Begin with vehicle on level ground, lifted safely in the air, if needed, engine "OFF" and the parking brake set, using a basic set of tools including a balancer puller and installation tool kit. 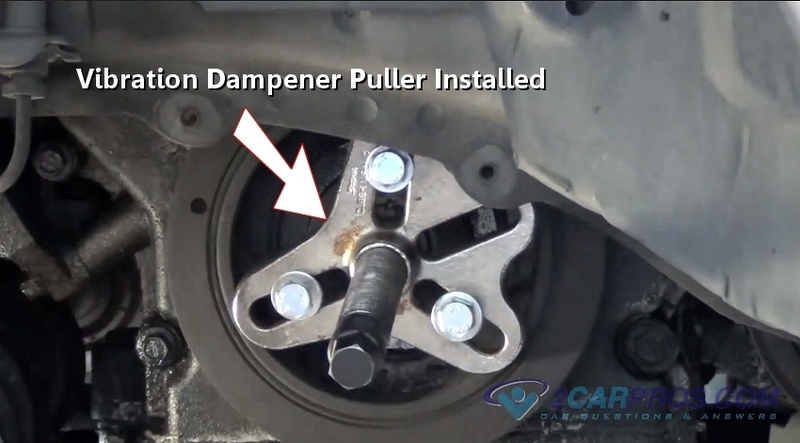 Step 3 - Evenly install a balancer puller, wind in the bolts far enough as not to be pulled out by the puller action. 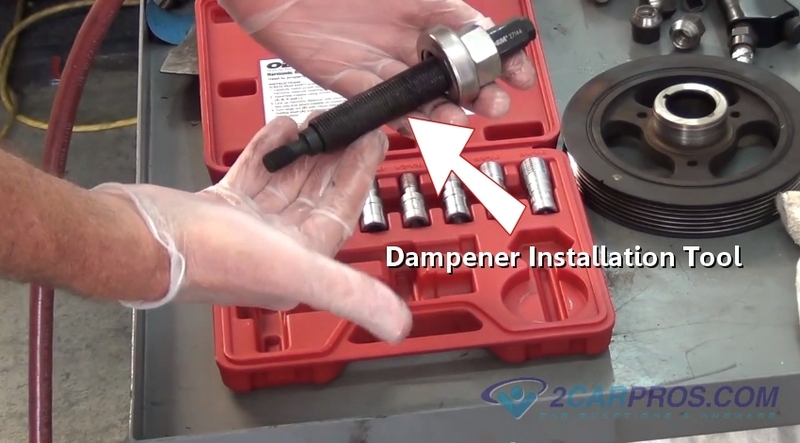 Step 5 - The puller push bolt will become easier as the balancer comes off the end of the crankshaft. 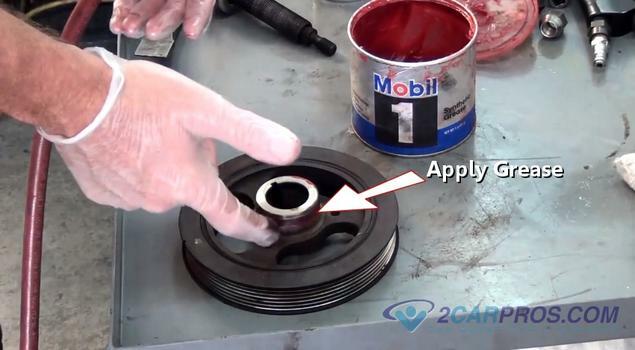 Step 6 - Once the dampener is removed, there may be some oil varnish which will need to be removed with carburetor cleaner or fine sandpaper before re-installation. 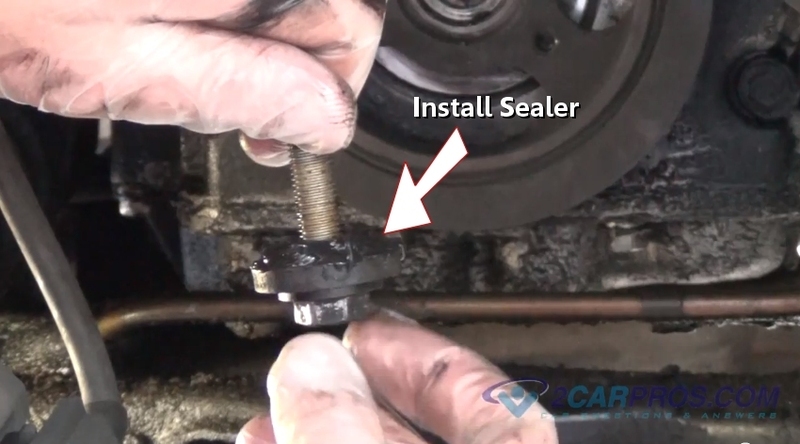 Step 8 - Warm the balancer in the oven to 150 degrees F to help expand the dampener to ease installation, then install a small amount of grease to the sealing surface. 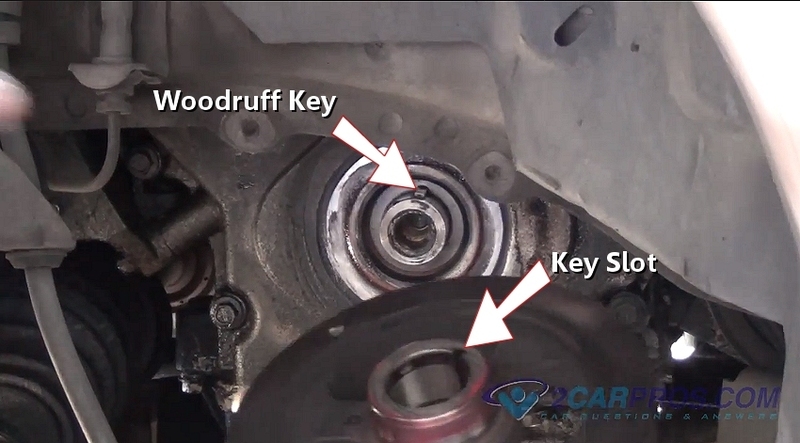 Step 9 - Align the balancer woodruff key slot with the keyway on the crankshaft and set into place. 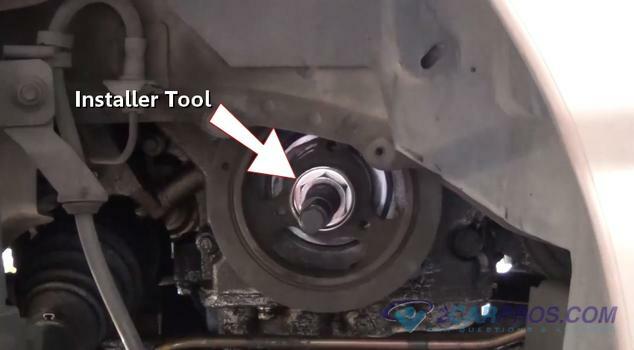 Step 10 - Once the balancer is set into place with the woodruff key aligned, wind the installation tool into place. 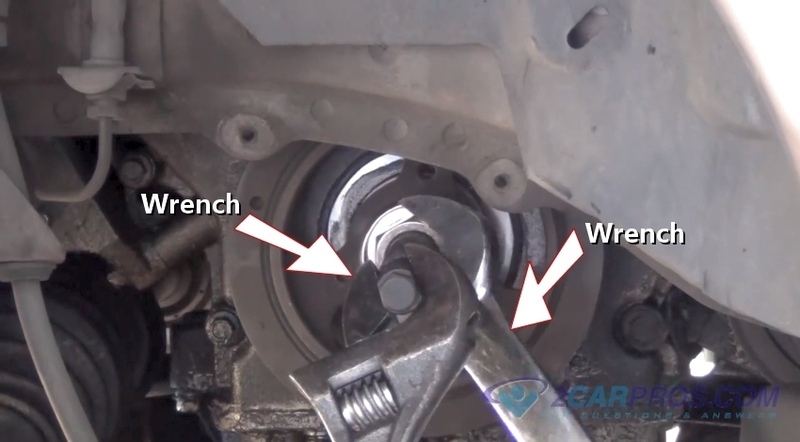 Step 11 - Use two wrenches to tighten the balancer installation tool until tight. Step 12 - Once the installation tool has been removed, apply sealer to the center bolt and install. 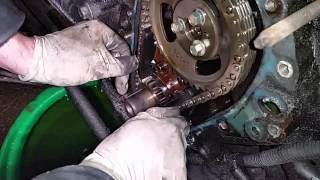 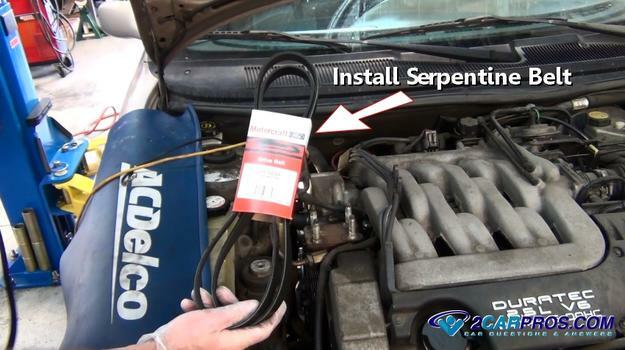 Step 14 - Once the harmonic balancer is installed, re install the serpentine belt. 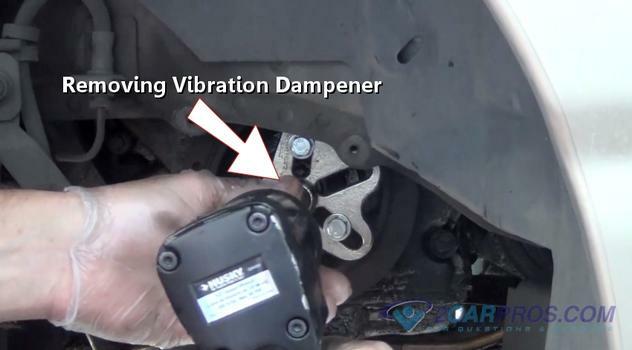 A harmonic balancer or vibration damper is connected to the front of the engine crankshaft and is designed to help reduce vibration. 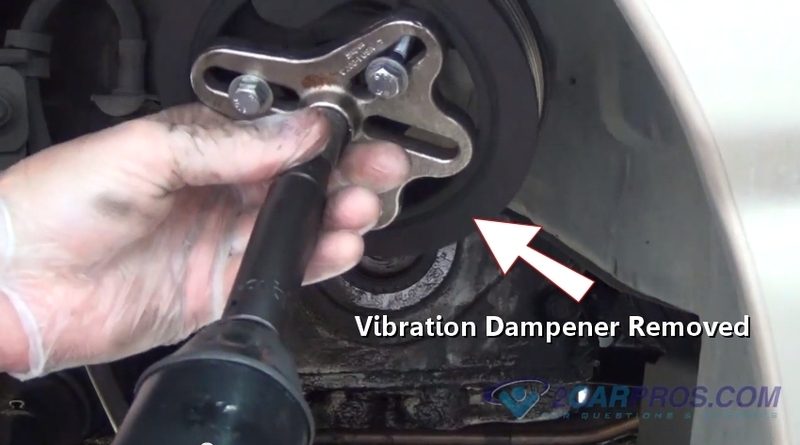 The harmonic balancer is comprised of two separate pieces, the first is a mass which is bolted to the crankshaft and the second is the energy dissipating element which are separated by a rubber insulator. The rotating mass is designed to absorb vibration created from the crankshaft while the engine is in operation. 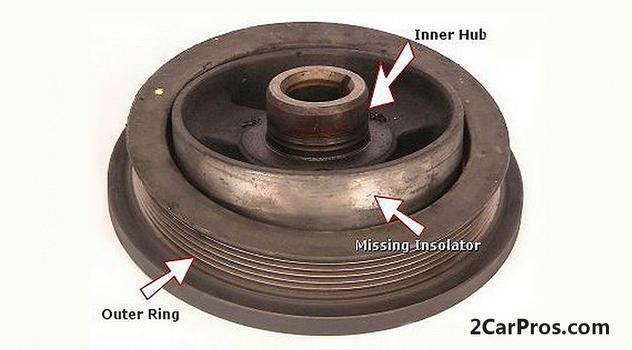 Almost all engines are equipped with a harmonic balancer. 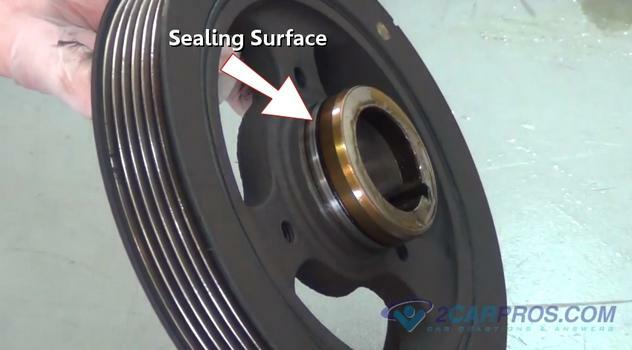 Due to the stress and strain that is placed upon the harmonic balancer the unit can sometimes crack or separate. 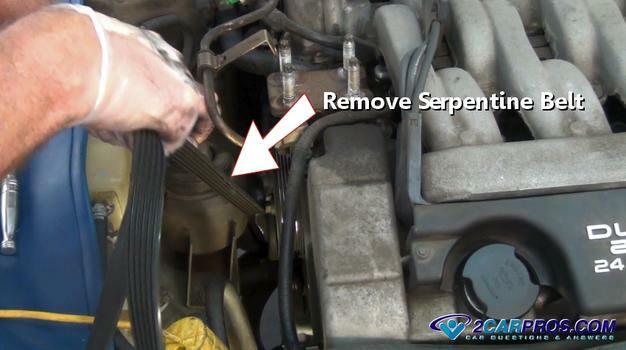 If the front main seal fails it will cause an oil leak which can only be replaced by removing the balancer.